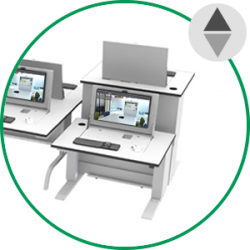 EVOKE encourages communication between users, transforming from writing desk to IT station at the pull of a lever. 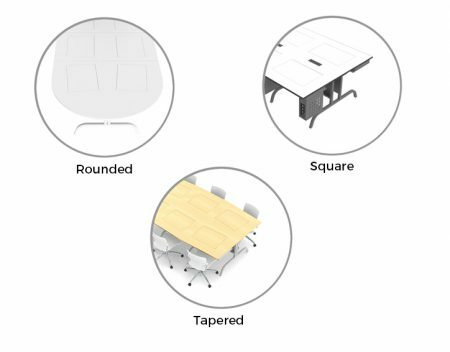 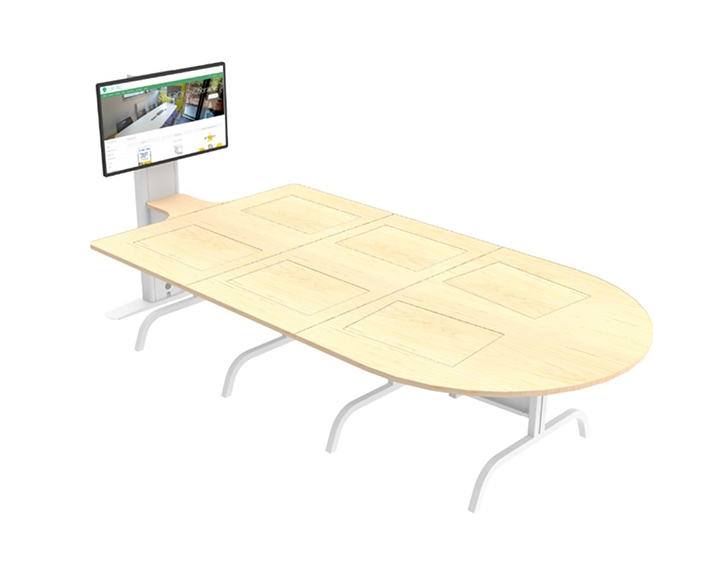 The collaborative table also features a mast at the end of the table, enabling students and teachers to cast their work onto the screen for discussion or to present to the rest of the group. 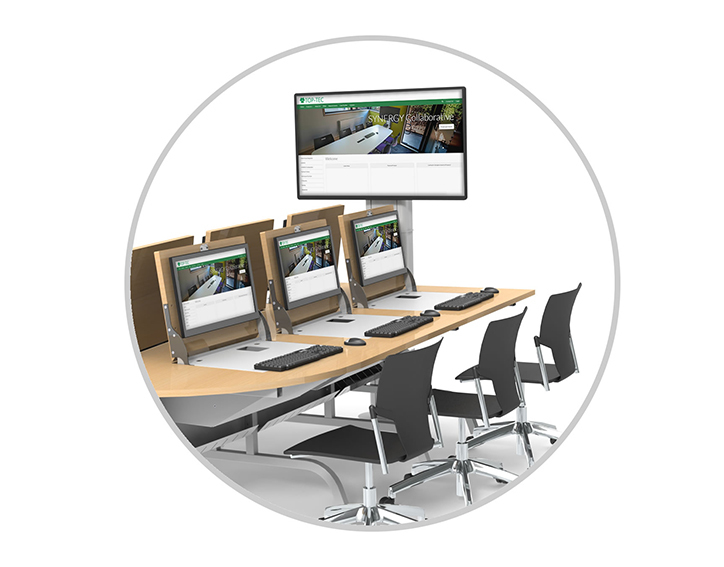 EVOKE has been designed as a modular unit, allowing for easy installation into a variety of learning environments. 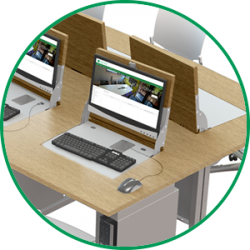 A discreet panel is built into the worktop to create a complete work surface, which reveals a screen, keyboard and mouse with the use of a lever. 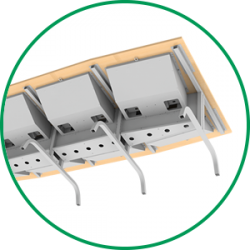 When out of use, all ICT equipment is hidden and stored in latched compartments.